As documented on this blog, I visited China a couple of months ago. Apart from the Great Wall, China is also very well known for its DVD stores. I visited a couple of these while I was there, and they are amazing. For some reason, these stores stocked all the latest movies and TV shows some that weren’t even out at the cinemas yet! And they were all perfectly packaged. No wonder they say the future of the world lays in China’s hands. I bought a few to sample and they were the real deal. Here are my reviews. 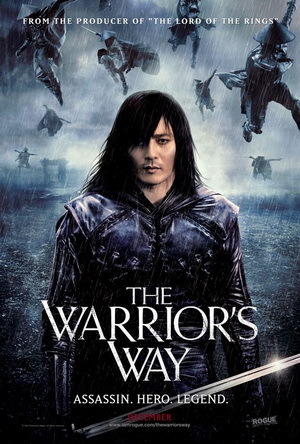 I saw the trailer for this on the Internets and was intrigued because it was one of those Asian martial arts fantasy films with a Western backdrop. Led by Korean ‘superstar’ Jang Dong-gun, the film also featured the likes of Hollywood stars such as Kate Bosworth (whom I hadn’t seen since Superman Returns), Geoffrey Rush (talk about a man willing to be in absolutely anything) and Danny Huston. I can’t really remember much except that the Korean dude was some super swordsman that went to America with a baby, and there were lots of sword/gun fights. I didn’t expect much from it but I did expect it to be slightly more fun than it was. Visually it was impressive, even more fantastical than films such as House of Flying Daggers, The Promise and Hero, but like those films the engagement factor was pretty low. 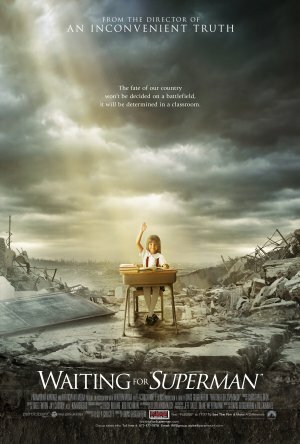 This was an interesting documentary about the crippled education system in America. It was expectedly scathing when it came to public education and the quality of teachers, but for me the most compelling part was watching how various families pinned all their hopes on their child getting into a particular charter school through a student lottery. I had no idea what charter schools were (basically an alternative to public schools and can have their own system of rules and regulations that hold both students and teachers more accountable for their performance) and I was fascinated by this idea of a child’s entire future riding on luck. If they get into a charter school, their future looks bright. If they don’t, they’re stuffed. That was how the film conveyed it anyway. As a result, he lottery scenes towards the end of the film had me riveted. It’s not an exceptional documentary (too many numbers and slow bits) but it’s an important one. I’m trying to think of a good feature film with Jessica Alba (in a significant role) that was any good. If Sin City doesn’t count (because she was hardly in it) then I can’t think of any. The Killer Inside Me was barely okay. It stars Casey Affleck as some sick psycho and Jessica Alba and Kate Hudson as the women in his life. It’s a stylishly shot film set in the 1950s (I think) and has some confronting moments that are brutally violent, but I didn’t get a connection with any of the characters. It was 109 minutes but felt like 3 hours. PS (SPOILERS): I read somewhere that the film was criticised for being misogynistic, which is stupid. Watching Alba and Hudson getting the crap beaten out of them was one of the less boring parts of the film. I always wondered why Odette Yustman (star of Cloverfield and The Unborn) was not a bigger star. Unfortunately, And Soon the Darkness will definitely not make her a bigger star. Yustman and Amber Heard are two young American girls backpacking in Argentina, in an area where young women have gone missing. Yada, yada, yada, they get in trouble, stuff happens and people die. I suppose there were a few entertaining moments in this film (which also stars Karl Urban as the ‘is he the bad guy or not?’ guy) but it was impossible to like either of the annoying girls whose stupidity and lack of common sense made me want to see something bad happen to them. But then again, if they weren’t so moronic none of the things in this film would have happened.